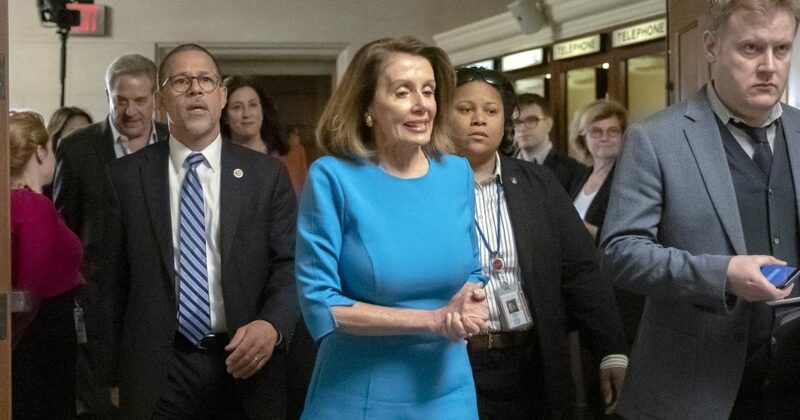 Nancy Pelosi is picking up support from nine holdouts as House Democrats meet to nominate her as speaker in the new Congress. Do you think Pelosi should be the next speaker of the House? Pelosi has reached an agreement a bipartisan group whose nine Democratic members were withholding their support as they pushed for rules changes to allow a more open legislative process. The group has been meeting with Pelosi and the incoming chairman of the House Rules Committee, Rep. Jim McGovern of Massachusetts, who also announced the agreement. The rules changes are set to be adopted when Democrats take over the House majority as the new Congress convenes. Pelosi is expected to win Wednesday’s internal caucus election but the California Democrat still faces opponents as she tries to shore up support before whole House votes on speaker in January. The tight race was tight, with the vote 123-113 over Rep. Barbara Lee of California, another influential member of the Black Caucus. Nancy Pelosi is heading into House Democratic leadership elections in an unusual position: She’s running unopposed. That’s not the plan envisioned by those trying to oust her as party leader as they pledged to usher in a new era. But one by one, Pelosi has picked off the would-be challengers and smoothed the skeptics. Pelosi still lacks the vote tally she’ll need in January to become the House speaker when the new Congress convenes. Democrats could face a floor fight as opponents try again to topple her. House Democrats, who will hold the majority in the change come January, are meeting Wednesday to elect a leadership team.